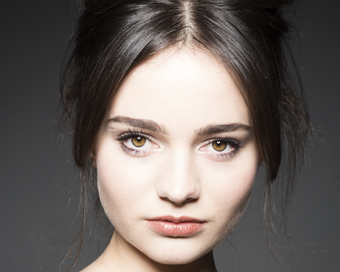 Irish actress Aisling Franciosi has been selected as a European Shooting Star at the Berlin International Film Festival (Berlinale) following in the steps of Domhnall Gleeson and Ruth Negga, both of whom received this honour early on in their careers. Now in its 22nd year, European Shooting Stars presents ten of the best up-and-coming acting talents from right across Europe. The selection process is incredibly competitive but the jury were very impressed with Aisling‘s “great acting range and superb instincts” in The Nightingale, which had its world premiere at the Venice Film Festival earlier this year. At an event taking place between 8th – 11th February 2019 during the 69th Berlin International Film Festival the Shooting Stars nominees will be presented to the film industry, public and international press. In addition to the public exposure, the programme provides a special platform for the Stars to meet casting directors, producers and filmmakers in one-on-one meetings, offering a unique opportunity to create the personal contacts and networks needed to embark upon an international career. The busy weekend culminates in an awards ceremony at the Berlinale Palast on Monday 11th February, where each actor will be honoured with the EUROPEAN SHOOTING STARS Award donated by Leysen1855.